Jalen Tate (5) talks in the huddle before the home game against IUPUI. Not only will fans get to enjoy Horizon League basketball, they will also get to enjoy dollar beverage night in BB&T Arena and in the new Braxton Beer Garden. Last season, the Norse defeated the Raiders three times, including in the Horizon League quarter-final. The Raiders (12-5, 4-0) will enter the contest on a five-game winning streak with wins over ACC opponent Georgia Tech in late December and an overtime victory against Oakland last weekend. Wright State averages 70.4 points per game, which is sixth in the Horizon League, but makes up for it with their defense, which is second in the conference with just 65.6 ppg allowed. The first ranked team: Northern Kentucky. Grant Benzinger averages 14.6 ppg and makes 37.5 percent of his threes. He is also 50-54 from the free throw line this season. Justin Mitchell is shooting 11.1 ppg and averages 7.1 rebounds per game. Loudon Love is the team leading rebounder at nine rebounds per game, and he averages 10.5 ppg. Northern Kentucky is third in the Horizon League in offense at 80.2 ppg and is first in the league in scoring defense, allowing 64.8 ppg. The Norse are 36th in the country in field goal percentage, sinking 48.5 percent of their shots. They also are ranked 23rd in the nation with a 1.42 assist to turnover ratio and 32nd in the nation in assists per game with 17.1. The Norse barely escaped with a win over Detroit Mercy on Sunday, thanks to a Lavone Holland two-point jumper with 3.3 seconds left to give the Norse a 56-54 victory. The Norse defeated Oakland two nights before they beat the Titans. Drew McDonald scored 16 points and grabbed nine rebounds against Detroit Mercy and Carson Williams scored 12 points and grabbed five rebounds. Trying to predict what the NCAA Tournament field will look like in March in the month of January is almost as ridiculous an exercise as trying to fill out the perfect bracket. But it doesn’t hurt to take a look. ESPN college basketball expert and ‘bracketologist’ Joe Lunardi currently has Northern Kentucky as a 14 seed that will face Purdue, a three seed, in the South bracket of the NCAA Tournament. 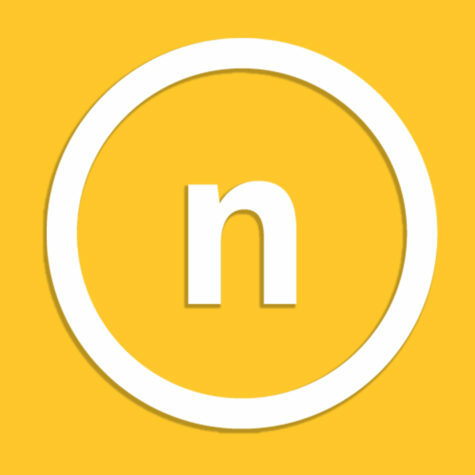 The game would be held in Nashville. The Norse are the only Horizon League team in Lunardi’s bracket, meaning he is projecting the NKU to win the conference tournament. In an article published yesterday on ESPN’s website, Jay Bilas ranked NKU as one of his 68 best teams in the country, putting the Norse at 65. March Madness is March Madness because the unpredictable happens. This includes the conference tournaments. 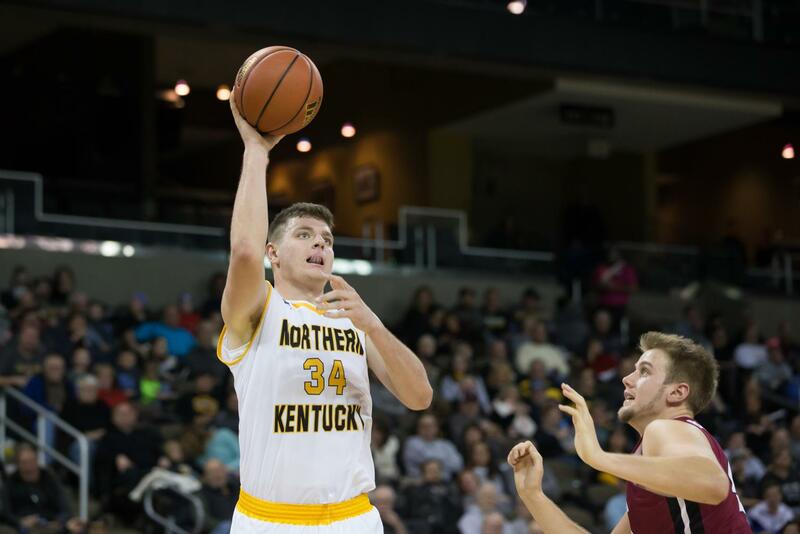 NKU wasn’t the favorite to win the Horizon League last season; in fact, Valparaiso and Oakland were favored ahead of the Norse. Neither team made it out of the quarter-final round. The fact is, even if NKU is the best team in the Horizon League, there is a chance they won’t make it to the NCAA Tournament because of the randomness of a single-elimination tournament. While actually predicting that NKU will be Horizon League champions is premature (although I agree with Lunardi based on what I’ve seen from the Norse), the impact of having nationally respected analysts write the name ‘Northern Kentucky University’ is huge. 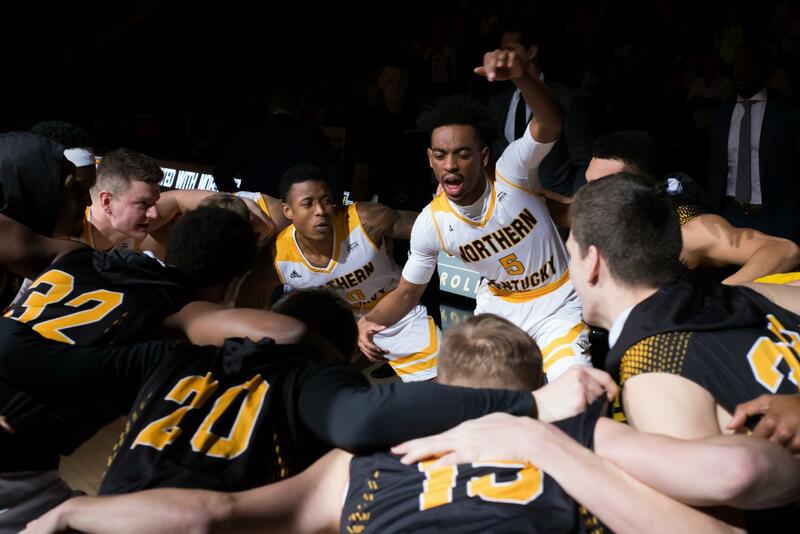 The national attention, even a very small amount, is what John Brannen can use to bring the next level of basketball recruits to NKU so the team can succeed long past when Drew McDonald, Lavone Holland and Carson Williams play their final minute. Those looking at just the records will think the Horizon League isn’t very strong right now. The departure of Valparaiso from the league certainly hasn’t helped. Three teams, Wright State (99), NKU (129) and Oakland (139), are in the top 150 in the RPI rankings. Every other team in the league is 200 or lower in RPI. But if you look a little closer, the strength of schedule for these Horizon League teams are pretty high; other than Milwaukee and Wright State, every team in the league has played at least one top 50 RPI opponent, and every team has played a team inside the RPI top 100. Meanwhile, Northern Kentucky fell to Texas A&M (31 RPI) and Vermont (67 RPI) but earned a victory over East Tennessee State (93 RPI). UIC played Kentucky (9 RPI). While the victories against the top RPI teams haven’t come, teams in the Horizon League have bolstered their strength of schedule. The next step for these teams is being competitive in those games.